Mac: Although Macs don't often get malware, they aren't immune. If you don't have a good Mac antivirus program installed, or something slipped through, Adware Medic removes common nasties. 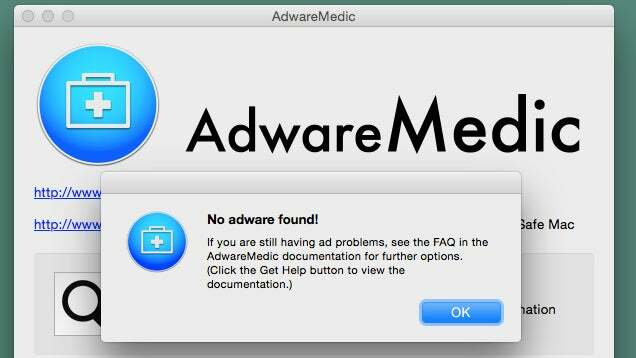 Adware Medic is an on-demand anti-malware scanner (rather than an always-on antivirus program) that removes adware from your Mac. Most of these infections hit browsers like Safari and Chrome, and are more of an annoyance than an actual danger, but can be tough to get rid of.